As a student in the Program, Assaf took many courses from the mathematics and industrial engineering faculties. In addition he started early on in his degree to take advanced courses from Mathematics and Electrical Engineering. The program was very helpful for Assaf in solving many Bureaucratic difficulties like number of points per semester, free enlisting to courses from all faculties on irregular times in the semester and the very helpful academic advisor. 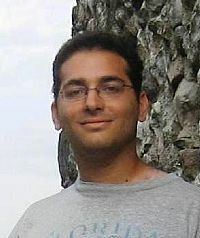 After his Bachelor's degree, Assaf continued on to higher studies and is soon to finish his PhD in the field of machine learning and reinforcement learning, focusing on the subject of off-line policy evaluation in dynamical systems. Recommendations for Program participants: "First of all – find a good advisor that you can rely on to back you up in any student request, and that can pinpoint the right courses for you. Then you should exploit as much as you can the academic freedom from the program – build your own study program, replace boring courses with interesting ones, don’t be shy to go to advanced studies or other faculties."